Reigning champions source diverse coaching team as they aim to defend their Canadian Rugby Championship title later this year. BC Rugby is pleased to announce the appointment of the 2018 BC Bears Coaching staff. The BC Bears are the reigning champions after a flawless run in the 2017 Canadian Rugby Championship and will be looking to defend their title this summer. For the 2018 season, in order to focus on more specific areas of the game, a larger pool of coaching staff has been sourced compared with previous years. These coaches are among some of the most talented in the Province and will be well prepared for the task of raising the performance level of the BC Bears players. Selected coaching staff include Jebb Sinclair, Scott Manning, Mario Domingues, Angel Cividanes, while Conan Cooper will provide Strength and Conditioning support. Jebb Sinclair: A professional rugby player for 8 years with London Irish, Western Province Stormers and Canada. Jebb is currently the assistant coach of the Meraloma RFC and Canada U18. Jebb will be responsible for the BC Bears lineout and team defence. Scott Manning: Currently in his second year as the head coach of Castaway Wanders RFC, Scott is also a current attack coach with Canada U18, prior to which he was involved in Canada U17. Scott will be responsible for the BC Bears team attack. Mario Domingues: After moving to Canada in 2009 and working with Toronto’s elite clubs for the first two years, Mario has relocated to Vancouver and has been working with local clubs ever since, including UBCOB and Meraloma, as the assistant coach and head coach. 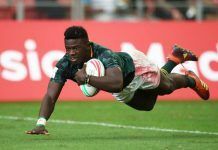 Mario is a Professional Rugby Coach graduated at the International Rugby Academy (NZ) He also invested his time in short-term internships at professional rugby clubs such as Natal Sharks (SA), Sale Sharks and Harlequins (UK). Mario will be responsible for the team exit plays and restarts. Angel Cividanes: The well know ex Argentinian coach, currently the scrum coach of Burnaby Lake RFC, Angel has been involved in all levels of Rugby in BC. He has filled the head coach role at Meraloma RFC and Bayside Sharks RFC, as well as looking after future rugby prospects by coaching Bayside U9. Angel has been involved with coaching both the scrum and forwards since 2009 and will reprise his role for scrum coach for the 2018 season. Conan Cooper: Having previously worked with the BC Bears between 2013-16, Conan has a wealth of knowledge when it comes to working with high-performance athletes. He has also been involved with Canada U18 and U19 from 2016 – 2018. Conan will deliver strength and conditioning support to the BC Bears team. Des Lynch: Returning from last year’s program, Des will also have a vital role to play as the mental skills coach for the BC Bears. Des has also been working with Canada U18 and U19 from 2016 – 2018. The BC Bears’ 2018 campaign will kick off on June 23 with a game against the Royal Air Force. 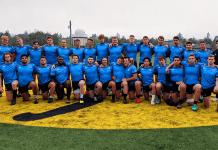 In July they will face the Prairie Wolf Pack in Calgary and again in August at UBC and in August they will compete in a two-game series at the Canadian Rugby Championships (CRC) in Calgary.